Mt. Fudaraku is the home of the bodhisattva Kannon. There also is found the beautiful garden known as the Fudaraku Pure Land. The Fudaraku Pure Land can be reached by a small boat called the utsubo-bune. That boat primarily departs from Kumano beach in Kishu province (modern-day Wakayama prefecture). The utsubo-bune has no windows, and instead has three or four tori gates where windows would be. Passengers bring fruits and nuts for the journey, and the utsubo-bune has pegs on which to hang them. The utsubo-bune goes with the North wind, and travels onward until it reaches the Fudaraku Pure Land. 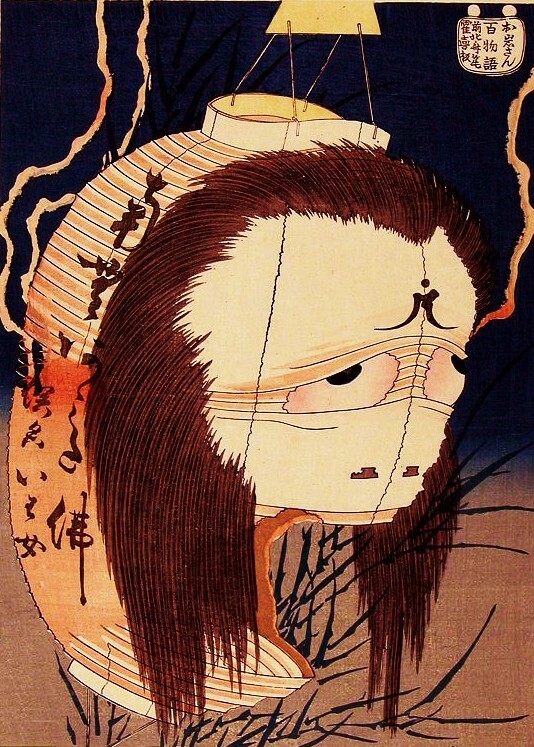 There are many different legends about what is called the Root Country (Ne no Kuni), and no one really knows for sure what the original concept was. According to one story, the Root Country is the deepest part of an underground land, that is to say the roots of the Earth. This gives it the name Root Country. Another legend says that the Root Country is the source of all vegetables and all food harvested from the soil, and that is where the name comes from. In the Kojiki, the Record of Ancient Matters, there is a myth that records the Emperor’s visit to the Root Country, where everything was much the same as the above-ground world including a great palace. This palace was the home of Susanoo, one of the major deities of Shinto. What the mainland of Japan called the Distant Lands (Toko no Kuni) the people of the southern islands of Okinawa referred to as Nirai Kanai. There are still many stories remaining of this land. Probably the most numerous legends of Nirai Kanai are explanations of how rice farming began. Sometimes an eagle, other times a hawk or a crane, took a grain of rice from Nirai Kanai and flew back to Japan. In other versions it is a human who visited Nirai Kanai and brought the grain of rice back. 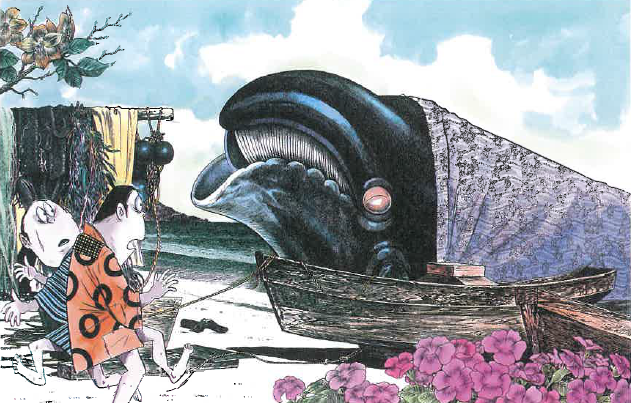 In one of the most unusual tales, it is a whale who brings the grain of rice from Nirai Kanai. The people of Omoto beach promptly cut into the whale’s flank, and found in his stomach the grain of rice. The High Plain of Heaven (Takamagahara) is only accessible by those of high rank or social position. Some place it in Hiyuga (Modern day Miyazaki prefecture) while others say it is more Northern. Some will say that it is located in the skies overhead the ancient capitol of Nara. In the High Plain of Heaven live the two gods Amaterasu–Omikami and Takami Musubi, who issue commands to the other Japanese deities from the Iwakura, the sacred rock throne. These two are the greatest of Japan’s kami. Of course, in the world of kami there are high-ranking kami and low-ranking kami. During festivals or wedding ceremonies it is common to hear the Shinto priest offer prayers to the great kami of the High Plains of Heaven. In ancient Japan, the place where humans dwelled was called the Central Land of the Reed Plains (Ashihara no Nakatsukuni).